But before you read this useful material, we’d like to introduce you its author – Richard Sanders, the CSO, and Co-Founder of CipherBlade. Rich is seen as a subject matter expert by the FBI and at the “top of the Rolodex” for Special Agents who have questions concerning blockchain-related cybercrime. Rich prides himself on a solid working relationship with the FBI and sees the opportunity to help law enforcement and the government with this new technology as a blessing. He has served on numerous high-profile cryptocurrency investigations, including as the lead investigator for Ian Balina’s hack, resulting in numerous arrests of fraudsters. Rich consulted for renowned blockchain projects (ChromaWay, Dusk) on optimizing their security posture, preventing the potential loss of millions of dollars worth of assets. He has also assisted in the development of procedures for major exchanges, including Binance, regarding asset theft. Now that you are convinced this man knows what’s he talking about let’s get straight to business. Let’s start with two nuggets of wisdom for those newer to cryptocurrency. First off — if you’ve invested more than a few hundred dollars into cryptocurrency, you can afford a hardware wallet. All too often, I see people that have (more realistically had) tens of thousands of dollars in cryptocurrency, yet didn’t spend less than $100 for a hardware wallet. In any other asset class, or storing of valuables, it’s a norm to spend a percentile in security. Considering the higher risk of cryptocurrency-related crime, it’s mind-boggling that so many people continue to invest significant portions of their life savings into cryptocurrency without spending a mere fraction of that on secure storage for it. Secondly, the 2017 hype train ushered in a wave of discussion with such intellectually stimulating topics of “when moon,” “when Lambo,” and “when Binance,” but rarely did I see “hey, I’m new — how do I securely store this stuff?” Many of the “get rich quick” crowd spent hours on end researching and discussing everything except how to securely store their cryptocurrency, and the fact many of them were breached is not surprising. Moral of the story? Spend a small percentile of the money and time you invest in crypto (even 2–3% is fine) on security. For most people, in context of time, this equates to perhaps a few hours per quarter. In this article, we’ll discuss what a hardware wallet does and does not do, how to properly procure a hardware wallet, how to store the credentials for it, and best practice for use of it. Securely stores private keys, rendering export of the private keys difficult. In order to restore your hardware wallet if lost or destroyed, you are provided a “recovery seed” — entering this on a newly acquired hardware wallet “restores” it to yours. Provides a level of immunity to malware that would steal from software wallets. Marek ‘slush’ Palatinus, CEO of SatoshiLabs, makers of Trezor. Eric Larcheveque, CEO of Ledger. Protect against human error. If you lose or destroy your recovery seed, you won’t be able to restore your hardware wallet. Protect against human stupidity. If you store your recovery seed in a place someone can access it, they can access your funds. If you send funds to a scammer’s address, there is no difference sending from a hardware wallet or another type of wallet: transactions are immutable. If you fall for a phishing site, such as a lookalike MyEtherWallet site, a hardware wallet will not protect you. If you provide credentials such as private keys or seed phrases to someone claiming to be from “support” or running a (fake) airdrop, your hardware wallet will not save you from this misjudgment. In short: it is still the user’s responsibility to research prominent fraud tactics and be aware of them. In short: a hardware wallet provides a secure mechanism to store assets and sign transactions. If the operator enables access to a fraudster or loses the recovery seed, or if the operator falls for a scam, it’s not the fault of the hardware wallet. A used hardware wallet. Ever. Unless you’d trust that person with your assets, you should not take the risk of using a wallet which may have been tampered with. 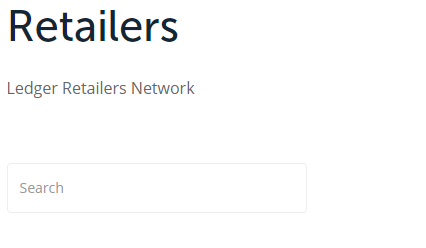 A reseller that is not an authorized reseller, especially if this reseller is via eBay. See above reasoning or this tragic example. Hardware wallets for cryptocurrencies are cheap — don’t try to save $20 by buying one off eBay and end up losing multiples of that $20. Store your seed phrase in a way that is offline, waterproof, and fireproof. If you’d like an easy and aesthetic solution, Cryptosteel has a solution that is relatively affordable. 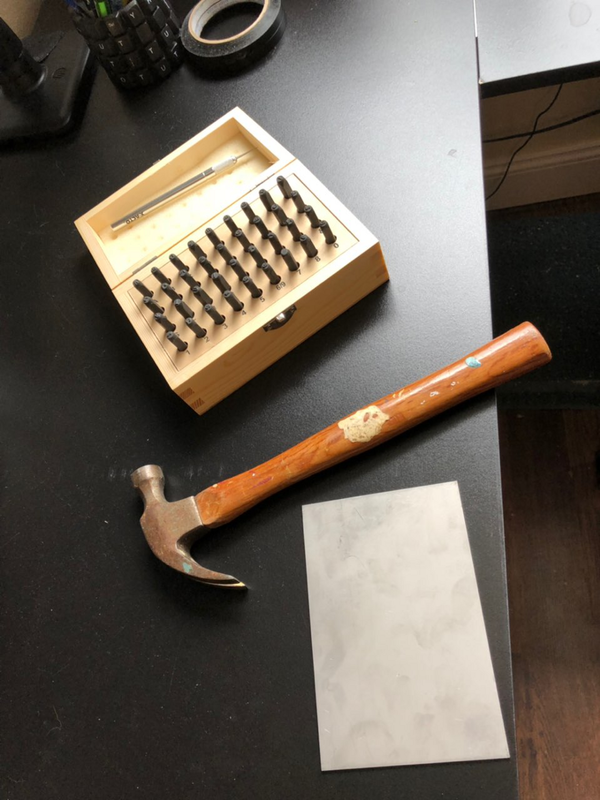 If you don’t want to spend $79+ for a Cryptosteel, you can spend under $25 and 15 minutes of time (which you can afford if you’re investing in cryptocurrency) you can pick up the following supplies from a hardware store or online: a piece of stainless steel, a metal stamp set, and a hammer. A cost and time effective way to store your seed phrase (or any other sensitive credentials.) Now just store this somewhere — a safe deposit box is always nice, but you can store this in your home as it is both fire and waterproof. If storing at home (or anywhere someone could pry open a safe or access it,) omit 2–3 characters and commit them to memory; if the steel is stolen alongside your hardware wallet, they won’t be able to liquidate the wallet so easily. 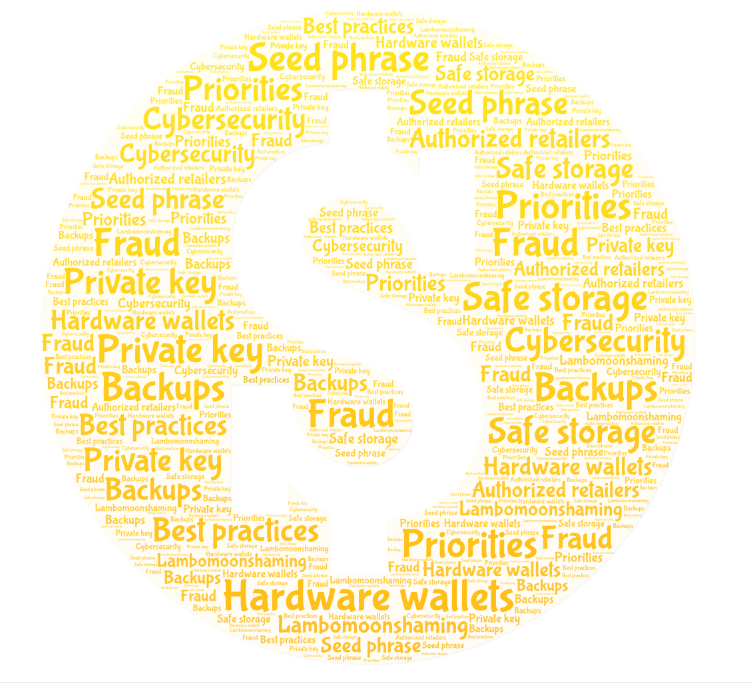 Store your seedphrase on any form of cloud storage — such as Google Drive, Dropbox, etc. Just don’t. Store your seedphrase on your computer. I’ve seen people store their seedphrase in a text file on their desktop. Just don’t. Take a photo of your seedphrase. I’ve seen people think that taking a photo of their credentials somehow equates to “offline” — your cellphone is, in a sense, a computer, and can be breached — not to mention many people upload their photos to iCloud or Google Photos. Just don’t do it — take the time and effort to do it the right way. Ideally, don’t print your seedphrase. This isn’t as big of a risk as storing it online or on your device, but it’s still a risk you can avoid. I won’t bore you with describing how data can be obtained from devices or with stale topics like “man in the middle” attacks, so just follow this advice. The amount of time, money, and effort to procure, properly setup, and use a hardware wallet is negligible for almost everybody involved in cryptocurrency — whether a hobbyist or professional. An ounce of prevention is worth a pound of cure.